The San Diego County Fair is offering its cheapest fare of the summer on Tuesday. Visitors pay only $3 — regular adult admission is $13, and senior admission is $7 — and children 12 and younger are admitted to the annual Del Mar Fairgrounds event for free. For the discounted adult admission, there are a few loops through which to jump. The $3 ticket must be purchased at an Albertsons grocery store with a $5 minimum purchase and using an Albertsons Preferred Card. 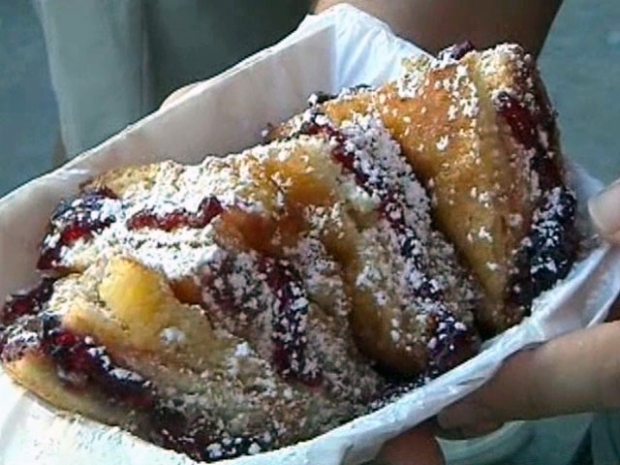 Every Tuesday at the San Diego County Fair is also “Taste of the Fair.” Each of the 100-plus food vendors offers a $2 sampler, said Linda Zweig, San Diego County Fair spokeswoman. The fair, which is closed Monday, will introduce a new theme exhibit Tuesday with it being a new week, Zweig said. Muscle cars will be among the vehicles introduced to the “Cruisin’ California” stage, featuring the “General Lee” Dodge Charger from the “Dukes of Hazard” television series, according to its website. This year’s theme is “Race to the Fair.” It closes every Monday, excluding its final day on July 4. More information is available at the San Diego County Fair website, including a full schedule of Tuesday’s activities.